Many of you may know Laura Nuttall, she used to be a Trawden member, a regular at Pendle parkrun, and ran the Windermere Marathon in May this year. If you don't know Laura you'll probably know the rest of her family: Mark, Nicola, Gracie and Ziggy. Laura is 18 and in September she started at Kings College University studying International Relations. At the start of October she had a few headaches and started to feel a bit sick. She had a routine eye test for a Royal Navy medical which showed some unexplained swelling behind her eyes; she was then referred to Moorfields Eye Hospital in London and they recommended further tests. The next day she was really sick so her mum and sister went down to London and took her to A&E. After a 3am CT scan she was diagnosed with brain tumours, initially two, however a further MRI scan showed there to be more like eight. She had brain surgery in November which went well and the largest and most life-threatening tumour was removed. 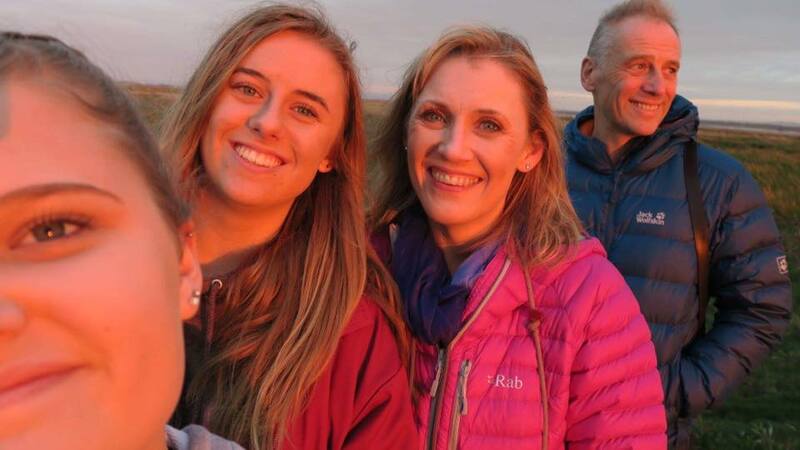 But tragically, Laura's tumours were diagnosed as Glioblastoma, or GBM, which is an incurable stage four aggressive brain cancer with the lowest survival rate of any human cancer. So at 18, with a whole life in front of her, she is now having to cope with the fact that her remaining life will be very short. The family are beyond devastated and have no idea how they will cope with losing her, or her gradual progression as the disease takes hold. Laura has started a six-week program of radiotherapy and oral chemotherapy and her family are trying to remain positive, looking into lots of supplements and alternative treatments and therapies, anything that may buy her a bit more time, in the hope that a brilliant new treatment will soon become available. Join us at the Trawden Arms on Friday 22nd February where from 7pm we'll have an evening of music, dancing and a cracking quiz starting at 8pm. Pie and peas will be served and we'll also be holding a raffle! How much fun can you squeeze into one night? All this for just £10 per person with all proceeds going to Doing It For Laura. Contact social@trawdenac.co.uk for tickets or more information. As a club we want to do as much as we can to support Laura and her family through this incredibly stressful time. We have set up a PayPal account as a collection point for anyone who would like to donate something, with any funds raised going to a cancer charity of Laura's choice or help her in any way. We will also switch our club charity for the year to whichever one Laura nominates, so the money we raise generally will go to this cause too.